This transaction is being done pursuant to the exercise of a put option which TIDCO had on Larsen & Toubro Limited which is the Promoter of L&T Shipbuilding as agreed with TIDCO at the time of inception of L&T Shipbuilding. Shares of Larsen & Toubro (L&T) rose 1% in the late morning trade after it purchased Tamil Nadu Industrial Development Corporation Ltd's (TIDCO) 3% stake in its subsidiary L&T Shipbuilding Ltd for Rs32.74cr. The company has purchased the entire stake held by Tamil Nadu Industrial Development Corporation Limited (TIDC0) in L&T Shipbuilding Limited, a subsidiary company, on April 10, 2019, as per BSE filing. L&T Shipbuilding Limited with a turnover of Rs73,088.79 lakhs and a negative net worth of Rs80,914.97 lakhs as on March 31, 2018. The acquisition is not a related party transaction, the company said in the filing. This transaction is being done pursuant to an exercise of a put option which TIDCO had on Larsen & Toubro Limited which is the Promoter of L&T Shipbuilding Limited as agreed with TIDCO at the time of inception of L&T Shipbuilding Limited. The transaction is done on an arm’s length basis, the company added. 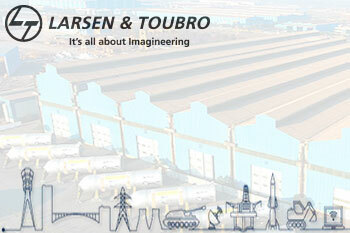 Larsen & Toubro Ltd is currently trading at Rs1,383, up by Rs13.15 or 0.96% from its previous closing of Rs1,369.85 on the BSE. The scrip opened at Rs1,371.50 and has touched a high and low of Rs1,386.50 and Rs1,371.50 respectively.